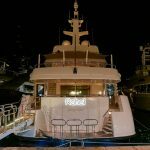 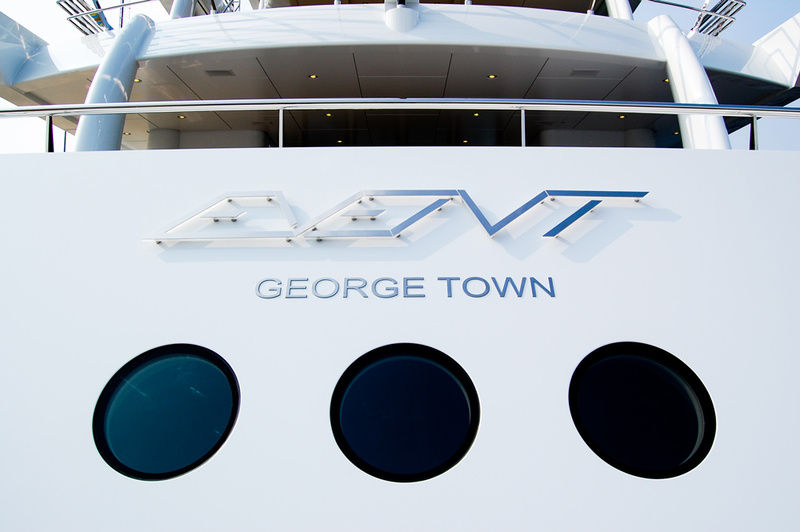 Port of Registry lettering sit beneath your illuminated yacht sign and are ideal for any size of vessel; from dayboats and tenders, right up-to 100m+ mega yachts. 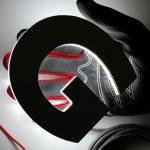 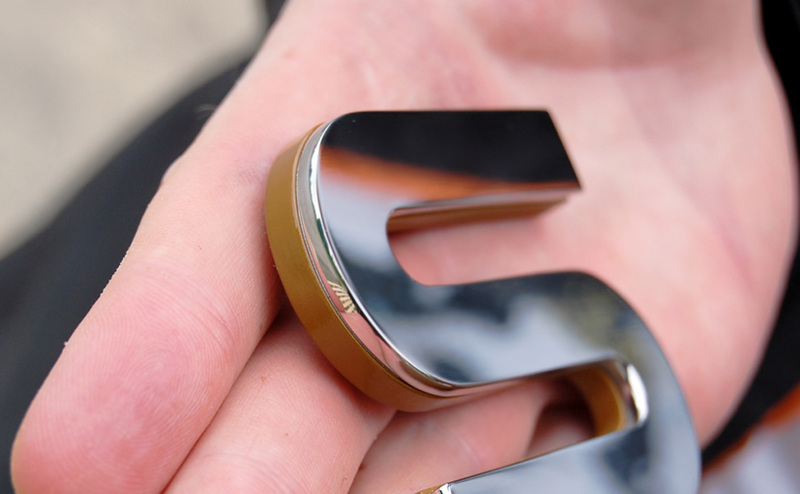 We can also provide illuminated hailing port letters with integrated LED or fibre optic technology. 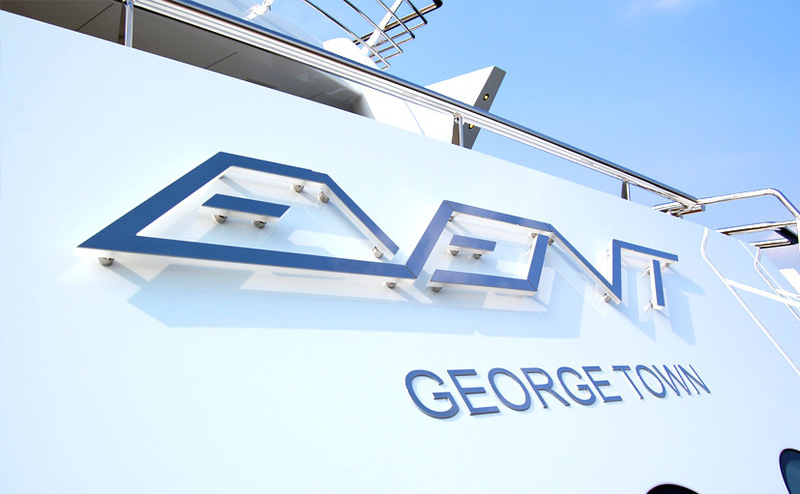 Typical hailing port letters for 30m+ yachts are 4-6mm thick, with letters being about 100mm+ tall. 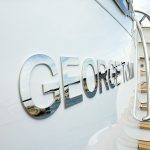 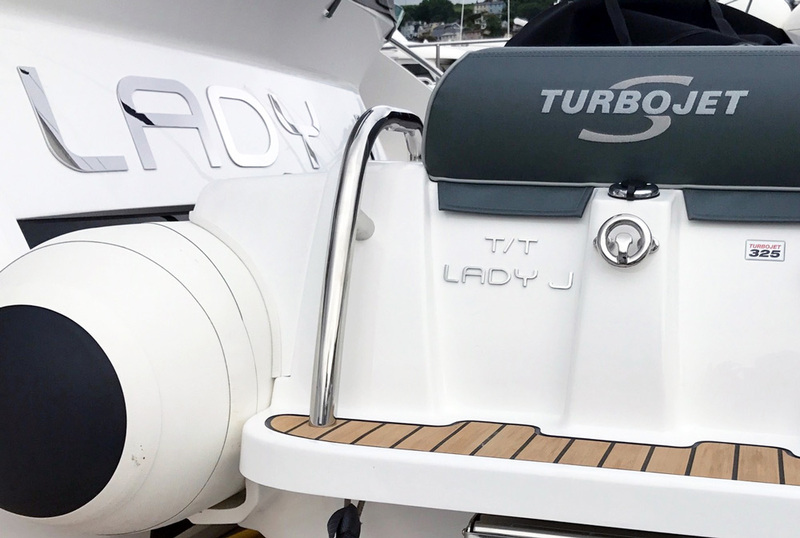 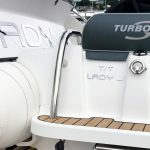 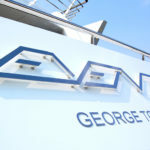 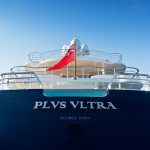 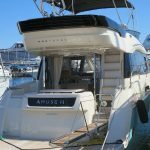 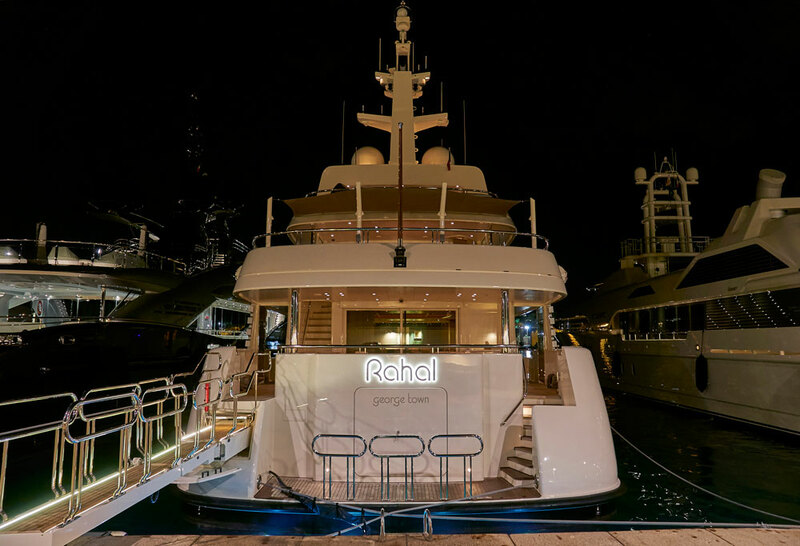 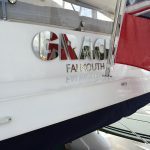 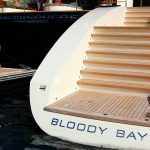 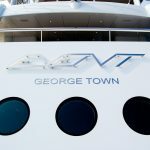 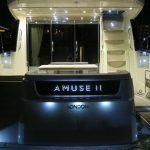 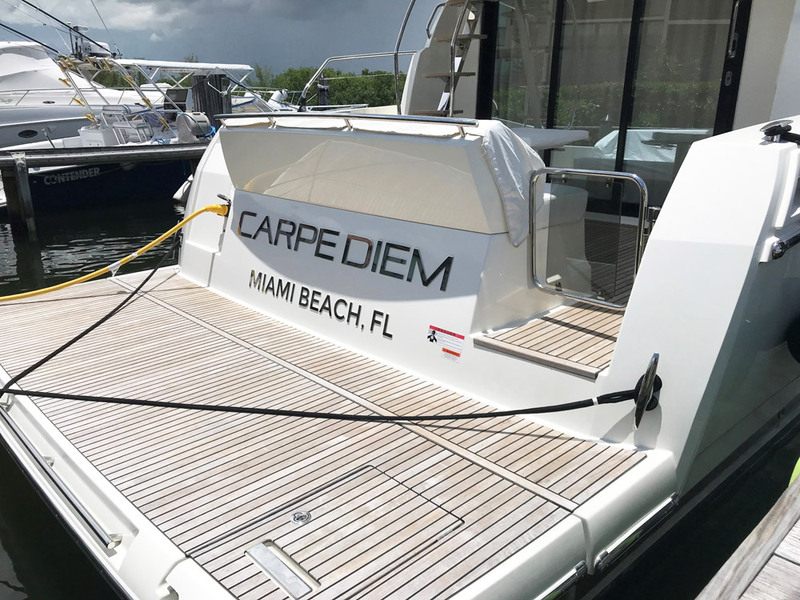 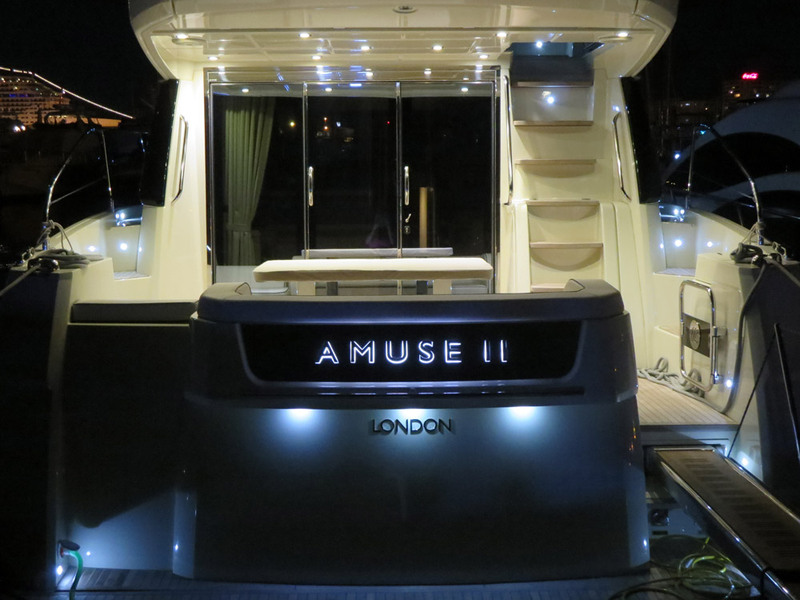 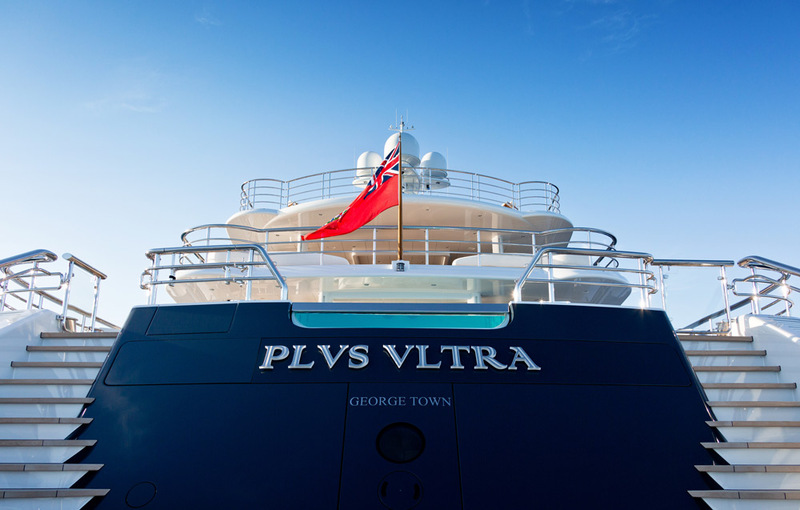 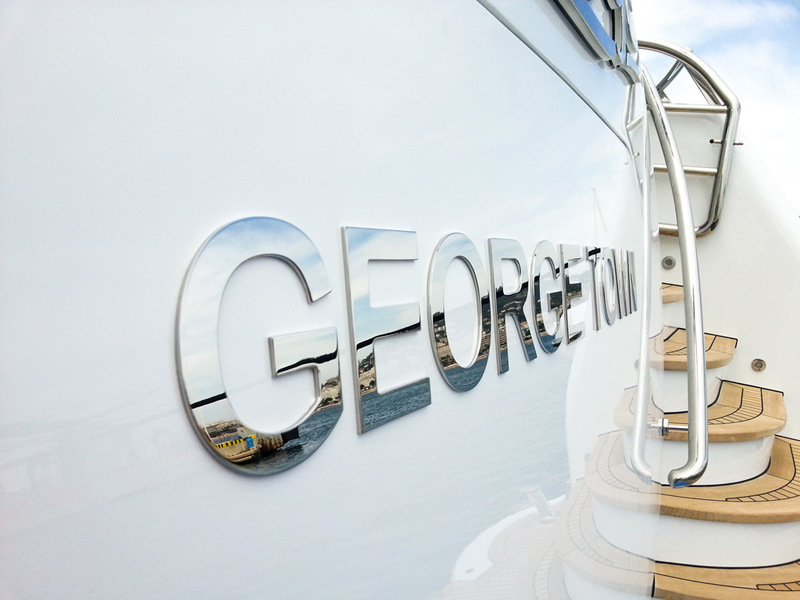 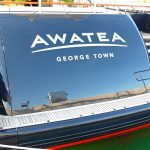 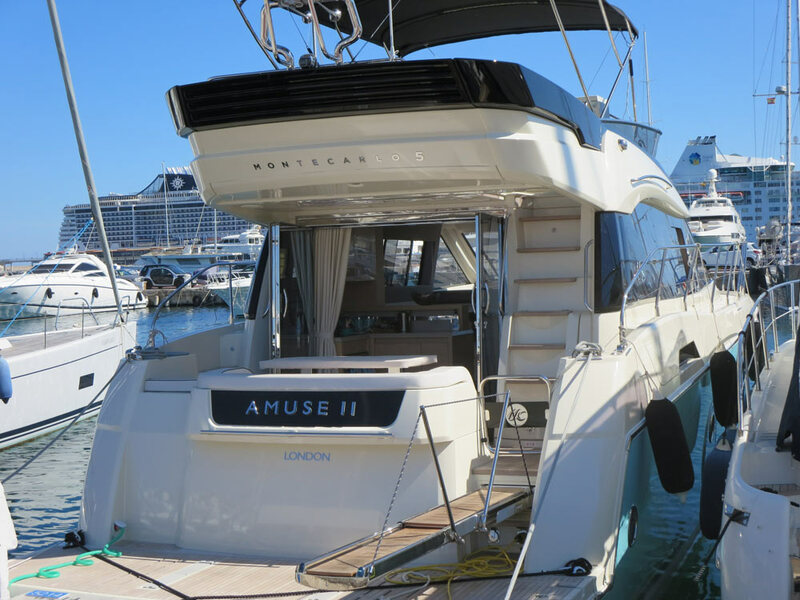 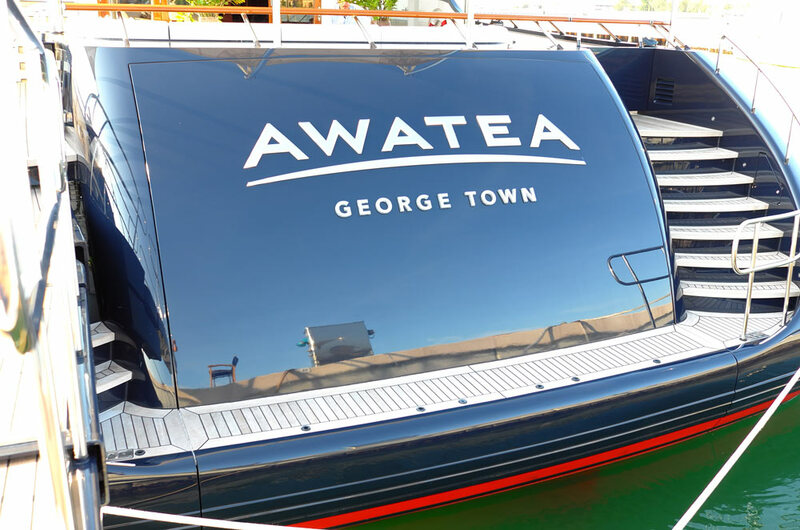 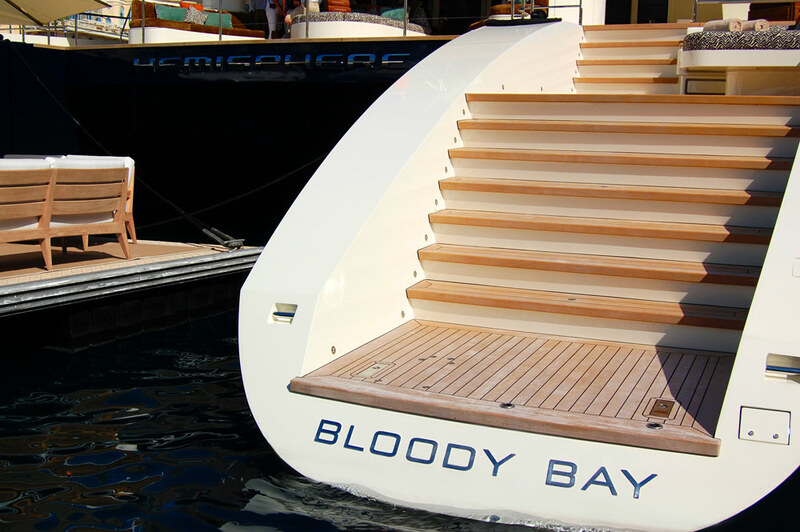 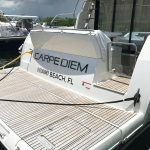 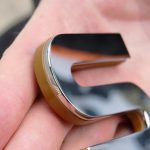 For megayachts that are 100m+ in size or for those desiring a ‘floating’ or thicker look to your port of registry lettering, a frosted or coloured Plexi backing can be added to the reverse of the stainless steel creating a visually thicker letter in proportion to the vessel it is mounted upon. 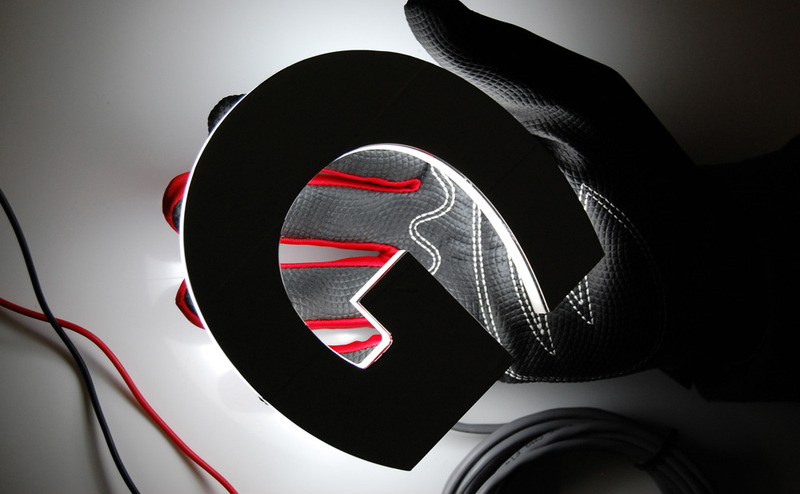 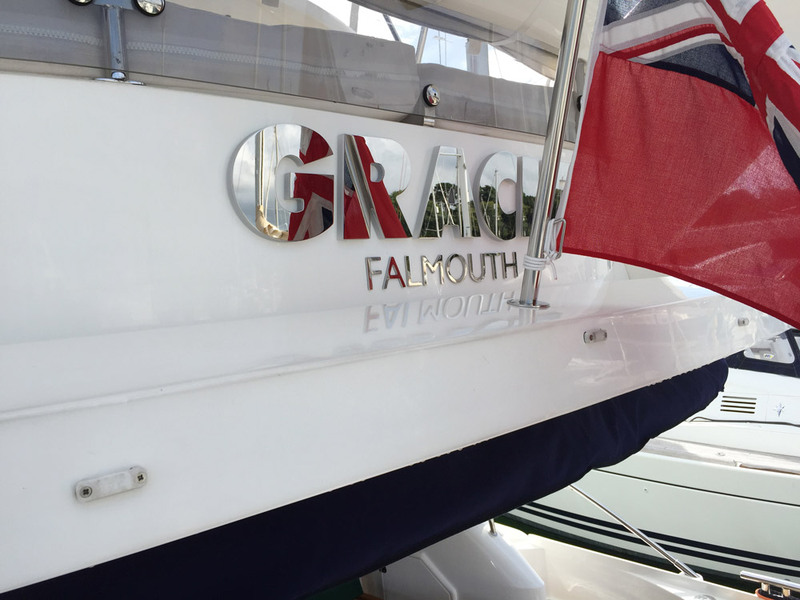 Once mounted onto the vessel with the 3M VHB tape, the perimeter of the letters can be caulked for extra durability. 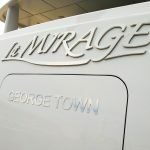 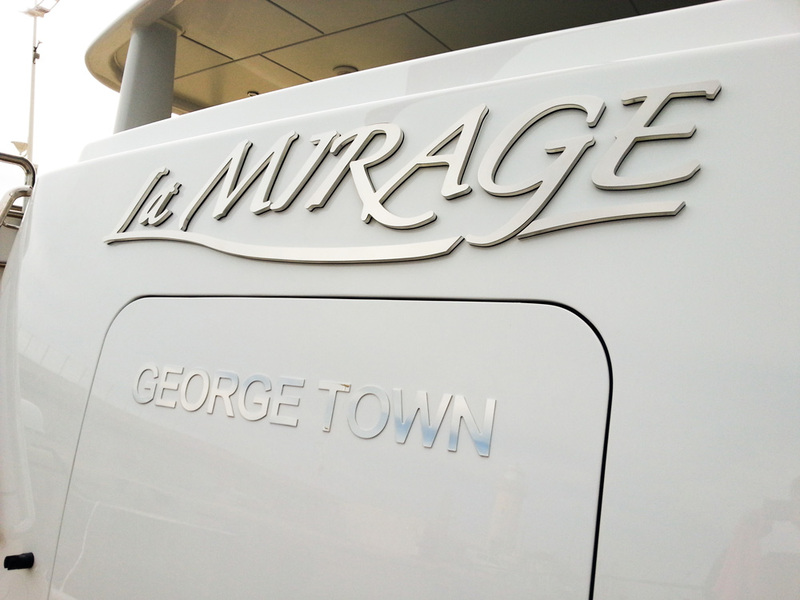 Contact Us to make an enquiry about Hailing Port Lettering for your yacht.